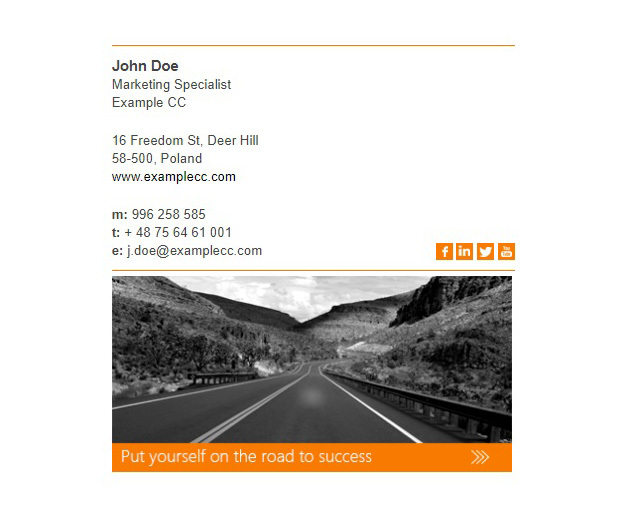 An HTML email signature template based on the marketing banner. The banner can be used for a wide range of purposes – from informing recipients about the company details change to presenting a new product in the offer. To adjust this template to your needs open it in the Free Email Signature Generator by clicking the Edit signature button below. To get it now, click the Download signature button.